I am going to tap a little on the glass here, so let us hope it does not crack and fall into a million pieces as we question the logic of literary labels. 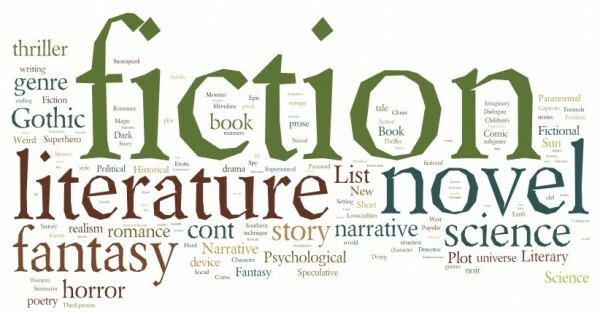 Genre identification, or literary categories, can be a huge challenge to a writer. Recently, a friend voiced concern with the acceptance, or lack thereof, of NA as a legitimate genre. The comment started me thinking about genres in general. Now, let me begin with throwing out to the reader that I do not pay much attention to genre labeling. Even as a writer, I have spent very little time thinking about it. Nor have I studied genres and their classifications in detail outside of a classroom. Between you and me, that was a long time ago. Furthermore, my list of published works is a bit short on the creative writing side of the house (just being honest), so I haven’t the need to classify my writing – yet. That being said, I did a little research to figure out what NA represents. I did not want to appear as if I did not know what she was talking about, but of course, that was exactly the case. NA is the New Adult genre classification for writing that targets the age and demographic of, you guessed it, new adults. It is a relatively new literary category so do not be surprised if you have not heard of it. Now, my dilemma is that – let us say… about 10 years ago, I assumed the YA, or Young Adult, genre was geared toward young adults. What did I know about writing fiction or genres? I knew little and by that, I mean, very little. As a mom, I was surprised to learn that the YA genre targets 12-17 year-old readers. Why don’t the literary category authorities, the higher powers in publishing, just call it teen? Hmm… maybe that would make too much sense. Young adult equals teen, okay, got it. Therefore, as a mom, I bowed out graciously from the genre debate within our own household. My children were avid readers, so I was happy in that aspect. However, I cautiously looked over book jackets, summaries, and reviews of the titles my children wanted to read. The Young Adult genre classification, to this woman, meant it was written for adults. I thought it was self-explanatory. Wrong! Well, now we have the New Adult genre that actually captures what I assumed Young Adult was all along. A genre geared toward the new adult with first loves, first jobs, first moves, independence, responsibilities, and first college experiences. With a wealth of material for that age group, it is no surprise that it is a fast rising genre in the market. I currently wait for two books to arrive that are, according to their writers, well within the boundaries of the NA genre. I enthusiastically look forward to reading their work. How difficult is it to select the correct genre label for your writing to hit that target audience? Honestly, as a somewhat better-than-average educated woman, I do not pay that much attention to genre classification as a reader. However, as a creative writer that is looking forward to sending out queries for my work, I find it a scary and daunting task to classify my work. I hate labels of any kind so to label my writing mystery, thriller, or suspense or something else entirely, will be a time that will take much deliberation and study on my part. Some writings are easy to define such as horror, fantasy, and science fiction. However, there are sub-categories to almost every genre and therein lies the rub for almost all writers – what to label the writing? What if the story crosses genres? Which is more prevalent, or which genre label will promote and highlight the writing more effectively? All of these are legitimate questions. I suggest that if you have a hard time defining your work for publishers, agents, or the public, do some research. Once you have done your homework, keep that genre list handy. I bet you use it for more than your own writing, perhaps for making your reading selections as well. You never know when your 11-year-old is going to hand you a book, or their tablet, wanting you to purchase the latest and greatest NA, YA, or romance book. Be prepared! I am sharing a few sites that may be useful, some are more current than others. Delve deeper into this topic if it interests you, and by no means use my banter here as a basis for accurate analysis. I am rambling after all. Genre identification is a challenge within the industry. Publishing is an ever-changing landscape that may also leave readers confused to a degree. Take it in stride and keep writing. A well-written story will find its way into the readers’ hands one way or the other. Be patient. Write on, my friends, and thank you for reading me today. Thank you for the link to our site (HowToWriteBetter.net) – Lucy McCarraher’s series on fiction there is almost complete and makes a very useful fiction writing tutorial for anyone who is interested. You’re welcome, Susan. Thank you for stopping by to read and leave your thoughts. I hope people come by and read what you have to offer at your site, too. The whole point is to provide writers with tools to help them succeed. Thanks again, and best wishes!